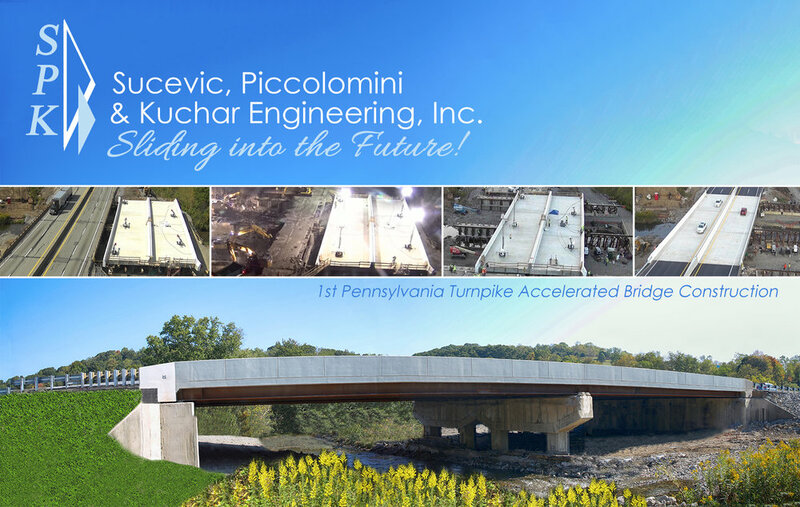 PA Turnpike WB-224B Superstructure Replacement — Sucevic, Piccolomini & Kuchar Engineering, Inc. This project was initially the full replacement of a bridge carrying mainline Turnpike over Brush Creek. The project modified the scope for a superstructure-only replacement project, incorporating ABC strategies. The existing superstructure is a two span non-composite adjacent box beam bridge with two lanes in each direction and relatively narrow shoulders. SPK developed final plans for a two span continuous steel superstructure which minimizes the impacts to the Turnpike traffic and utilizes the existing substructure. Project in Miami, FL December 7, 2017.